JOS, Nigeria (Morning Star News) – Islamic extremists in northeast Nigeria retained the only Christian among more than 100 kidnapped girls who were freed last week, prompting the head of her church denomination to call on President Muhammadu Buhari to obtain her release. 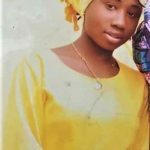 Leah was among more than 100 girls kidnapped at a public high school, Government Girls Science and Technical College, Dapchi, by Boko Haram on Feb. 19. Five of the kidnapped girls died from the “stress and trauma” of being kidnapped, including one who was trampled to death, but the girls were not mistreated, one Muslim girl reportedly said. The other girls, numbering at least 101 according to government registers, were released on Wednesday (March 21). Lado said the ECWA was moved by the courage of the teenager who declined to renounce her faith in the face of threats from the terrorists. Buhari had said earlier through a spokesman, Garba Shehu, that his administration would not cease efforts to get Leah released. Denying that any ransoms were paid or prisoners swapped, the administration has said friendly countries and international organizations helped negotiate the release of the girls. Khadija Grema, one of the freed girls, reportedly said Leah was not released because she refused to recant her faith in Jesus Christ. Leah’s mother, Rebecca Nathan Sharibu, told Nigerian online news outlet Premium Times that her heart was broken when she searched through the released girls on Wednesday and could not find Leah. She reportedly collapsed and had to be taken to a hospital after learning her daughter had not been released. Leah insisted that she did not know how to recite it, and that she was not brought up as a Muslim, the girls told her. 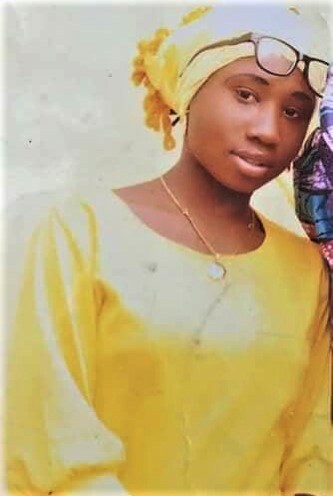 “She then pleaded with her friends that if they eventually made it home successfully, they should inform we, her parents, to continue to help her pray for God to protect her and bring her home safely as well; that whether she survived or not, she still needed prayers,” Sharibu said. Leah’s father, Nathan Sharibu, told Nigerian radio station Raypower that he was told his daughter was not released because she refused to deny Jesus Christ and recant her Christian faith. Sharibu called on the Nigerian government to ensure his daughter is released. “The Nigeria government must do all within its powers to go and bring back my daughter, the same way they did to others,” he said. Bukar Kachalla, father of one of the abducted schoolgirls and secretary of the parents group, told journalists in Dapchi that they were saddened when they learned Leah had not been released. “We were told by the Boko Haram that she was not released because she refused to put on hijab,” he said. The Rev. Yakubu Pam, chairman of the Christian Association of Nigeria (CAN), Northern Nigeria Chapter, said Boko Haram’s demand that Leah convert vindicates Nigerian church leaders’ position that the terrorist group targets Christians. “The federal government of Nigeria, which has been in touch with her captors, should hasten effort and ensure that Miss Leah Nathan Sharibu and other Chibok Christian girls are released,” Pam told Morning Star News. About 100 of the 276 girls kidnapped by Boko Haram from the town of Chibok, in Borno state, in 2014 are still missing. she shall be released in Jesus name! The only thing is that GOD the creator of heaven and earth by HIS power and strength out arm release Leah shabiru in JESUS NAME.amen. This is a country that never witnessed this kind of a thing when Gen Gowon was in power. This kind of religious intolerance began to manifest seriously after Gen obasanjo handed over to civillian. In fact these politicians are enemies of oneness of Nigeria forget that whatever a man sow he shall reap. stories.boko haram should have been considerate enough to know that life is in the hand of GOD. Why imposition and hindering people from achieving their aim.if GOD choose to destroy the whole areaa with earthquake. Can anybody with hold the hand of GOD. Let those profiting at the expense of boko haram by inciting them agaust good governance knows that GOD is watching. If GOD chooses to render them as still as stones while Nigeria enjoy peace.what can they do. Prayers to God our Father for this lovely brave young lady. I admire her steadfast faith and pray for her release to her parents.